We’re having a pre-Christmas SALE! This November, Handmade By Me is having our biggest SALE yet! With 40% off selected products, you have no more excuses not to give everyone you know HMBM for Christmas. Whether you’re after a pair of our hotel slippers, or some cushions to brighten up your home before the visitors arrive, or even some tea towels or napkins for that Secret Santa. Whatever you decide, you better be fast, as the sale is only available while stocks last. Please note that the sale is available online and in-store. Handmade By Me has been lucky enough to receive some serious media love over the past month which we would love to share with you. Here is a Q&A with myself in the latest Garden & Home magazine where I reveal my favourite millenial pink finds. If you didn’t know already, I am quite clearly obsessed! We have also been lucky enough to have been featured in Elle Decoration‘s floral inspirations as well as their favourites inspired by the East. See if you can spot our Imari placemats as well as our Foliage cushion covers. Home magazine gave our Foliage on Pink cushion cover the green light. And Fair Lady magazine picked our Prickly Pears hotel slippers as one of their Fauna & Flora favourites. And in case you missed our recent social media posts, we shared some of our latest customer pics. Here is a sneak peek of our Foliage on Pink wallpaper recently installed in this beautiful bathroom. And one of our regular customer’s, Janet, sent us this pic of her Pretty Proteas blind she had made to match the lampshades in her Airbnb apartment in Gardens. And lastly here are some of the latest images from our Instagram feed. We have been obsessing over our new Foliage hotel slippers which are now available to order online and/or in-store. We also have Foliage lampshades coming soon, as well as a special limited edition of our Lux Panama 60x60cm double-sided cushion covers. How is it that Christmas is almost here already? How did it happen so fast? How did we not realise? Where has the year gone? WTF? We cannot believe that is is almost that time of the year already! And because we know so many of you are still looking for those last-minute gifts, or that something special for that someone special, we have decided to see what we can to help you at the last-minute this festive season. 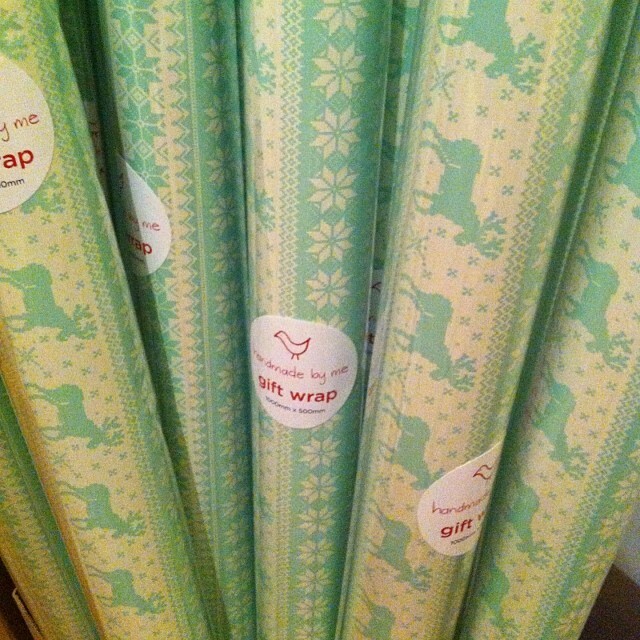 Order online, or pop into our store, and we will gift wrap those orders beautifully for you. Last date for orders in time for Christmas by post is Sunday 17th December, and last date for orders via courier is Wednesday 21 December. We are staying open (in store and online) right up until Saturday 24th December, and we have also decided to stay open this Friday 16th December for the Day of Reconciliation. We are also offering you something a little different this Christmas where for any orders which include one of our Christmas stockings, we will cover the cost of your shipping. Just make sure your order contains at least 1 Prickly Pears Christmas Stocking and that you use the discount code “ChristmasStockingFreeShipping” when checking out, and consider your order gift-wrapped and delivered to your door. 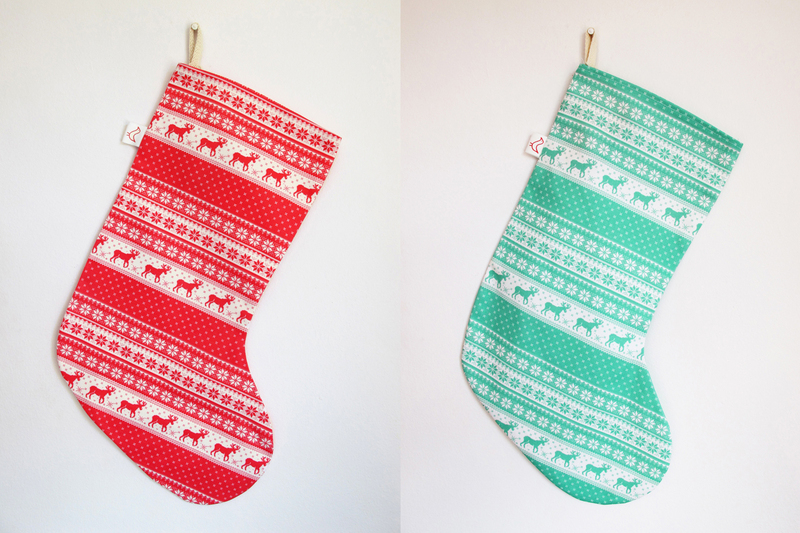 Feel free to order as much as you like, as long as your order includes at least 1 Christmas stocking. If any of you are like me, and always end up leaving your Christmas shopping to the last minute, and you hate going to the shops this time of year, we have some lovely gift guides to share with you where you can order online and have your gifts delivered straight to your door. We are truly delighted to have had some of our favourite products featured in these guides, we hope they bring you that Christmas gift inspiration you may be looking for. 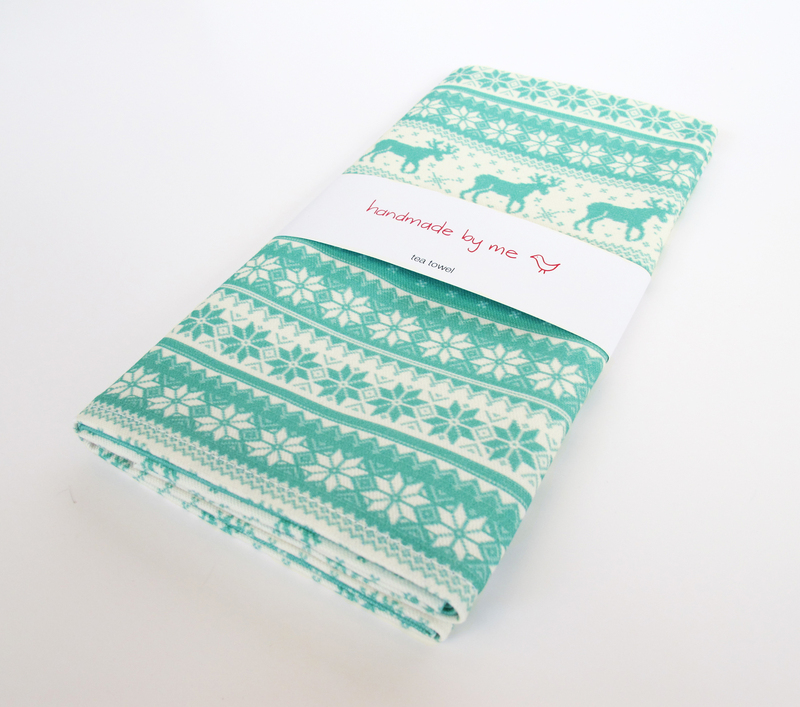 We are also delighted to let you know that our new pillowcases have arrived just in time for Christmas. In the photo below we mixed our Prickly Pears pillowcases with our Green Sprigs cushion, don’t they look so lush together? The new pillowcase designs are Prickly Pears, African Aloes, Striking Strelitzias and Pink Flamingo – all available to order via email until they are available online. Even though there are less than 3 weeks to go until Christmas, there is still plenty of time left to order your gifts online. For any orders from the Handmade By Me online shop, we recommend you order no later then the below dates to avoid chaos and/or disappointment. Click on the links below for more details on the products featured in the gift guides. Vamp have done a series of daily gift guides. We’re so happy to have our Imari and Delft placemats included. 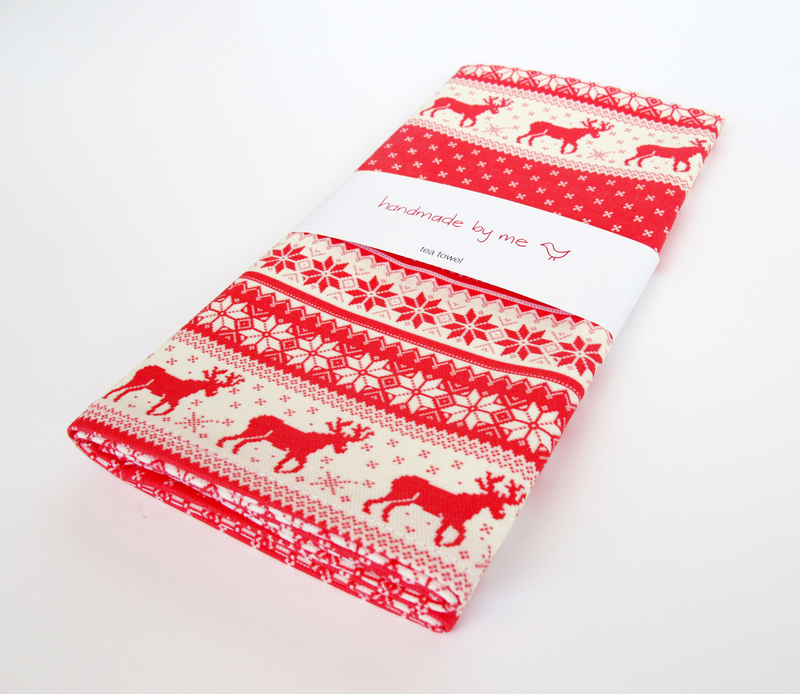 Vamp also has a fantastic selection of our Christmas Jumper Christmas stockings, tea towels and table runners in stock if you’re looking for some Scandi-inspired Christmas decor for your home. Livingspace magazine put together a decor inspiration list which turned into a gift guide for the homemaker in their December issue. 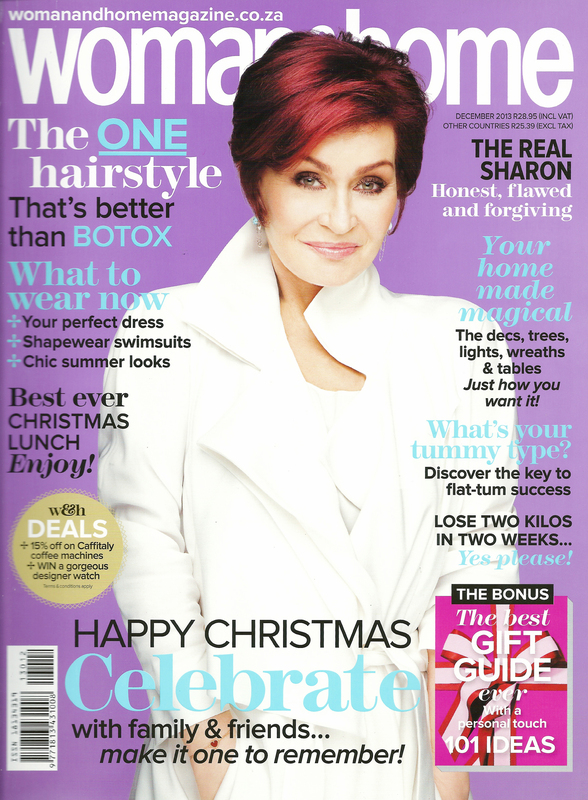 They chose to feature our Christmas Jumper Christmas Stocking in red. 9 lives blog put together this fantastic selection of gifts for that foodie friend of yours and included our Imari placemats. For Christmas, every Wednesday, Vicki Sleet from I Want That chooses her favourite finds on Hello Pretty. 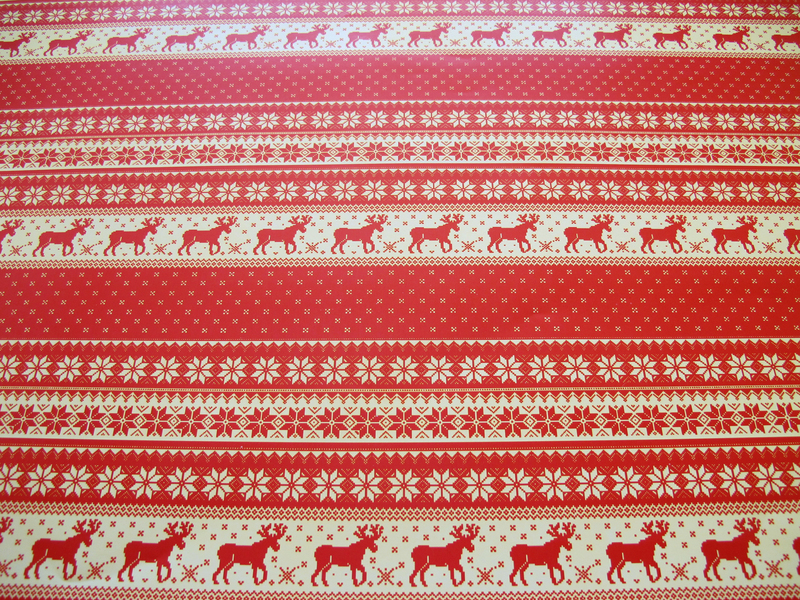 She thought our Christmas Jumper Christmas tea towel in minty green would make “such a lovely gift for a keen cook, someone who loves their home and well, someone with a taste for Scandi-influenced design” and our Christmas Jumper Christmas Tea Towel in red “is sure to make you feel jolly and is Bridget Jones / Mark Darcy approved“. We love that – Thanks Vicki! Kim Gray thinks our phone covers make great gifts and we think she knows what she is talking about : ) Also available to order through TAKEALOT if you are looking for ways to use up those eBucks and/or earn Discovery miles. Kimmy and Bear featured our new Pink Flamingo nappy cover in her list of gifts for baby girls who’s giggle is music to your ears and who’s hand dimples melt your heart. Ah isn’t that sweet! 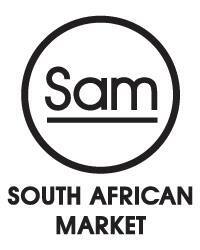 Speaking of stockists, I am really delighted to let you all know about an amazing new South African designer shop called SAM (South African Market) which will be opening its doors on Bree Street later in the week. I will have a full range of Handmade By Me products available to buy there, and as far as I know there are a lot of pretty awesome designers involved, which means a lot of pretty awesome things to buy! Here is a link to their facebook page and their website will be live very soon! 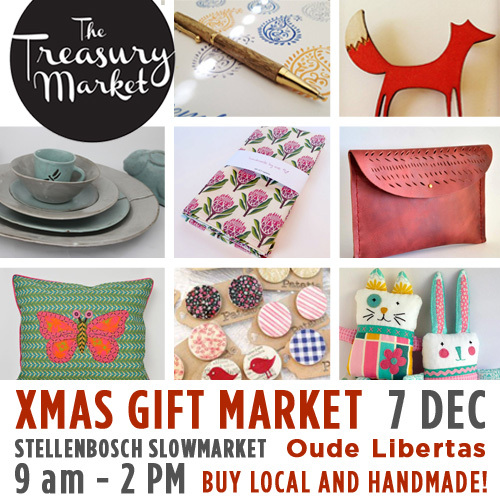 I also want to let you all know that I will be at The Treasury Market‘s Christmas market in Stellenbosch this coming Saturday. Its always a good day out there, and there will be lots of lovely designers joining me there! This will probably be the only market that I am going to be part of before Christmas, so I really hope to see you all there to toast an incredible year end, and hopefully a very exciting new year ahead! Christmas is here and finally I am starting to see it everywhere now. In Ireland it has probably already been Christmassy for a month or two already. They even have a radio channel called Christmas FM which plays non-stop Christmas carols throughout November and December. Hilarious and annoying at the same time : ) As much as it gets icy cold over there I do miss it this time of the year as it really is so festive and fun. 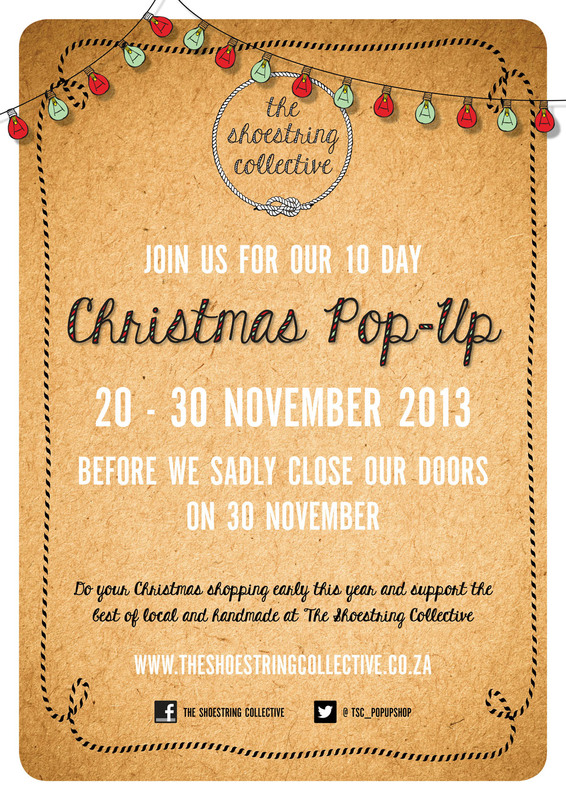 Its a little harder to get festive in the blaring South African heat but we certainly try! 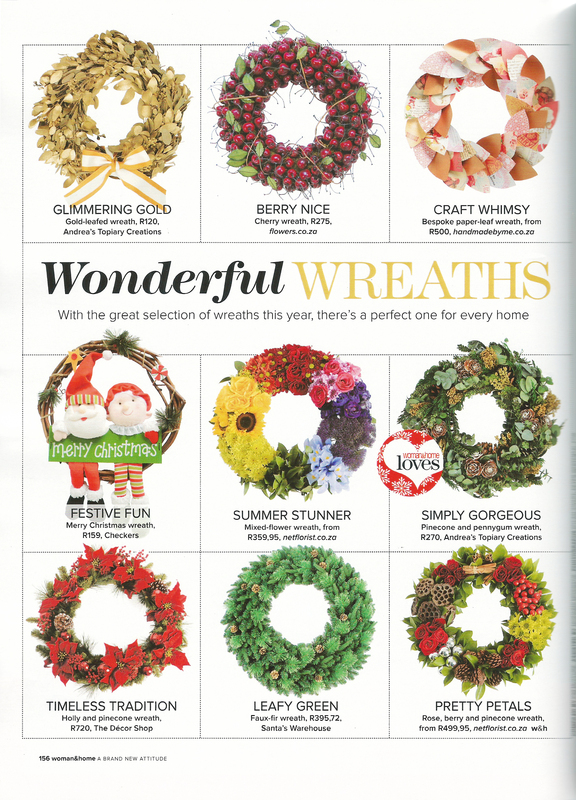 First off with my Christmassy items this year is a wreath I made for Woman & Home magazine. I guess in hindsight I should have made something more sellable, but they asked me to do something different and exciting and so how could I say no! After making all those origami birds from The Shoestring Collective‘s window display, I decided to give paper, rather than fabric, another go! And voila here is my wreath. 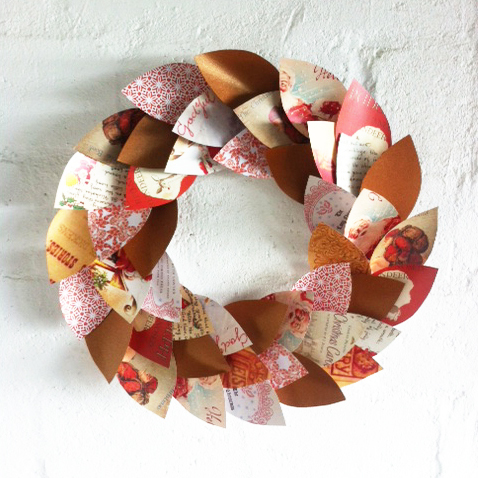 Its a little hard to tell from the pic, but I used pieces of shiny copper card, some printed designs of my own, and some images of covers of old Christmas stories and books to create the colourful and christmassy theme throughout the wreath. 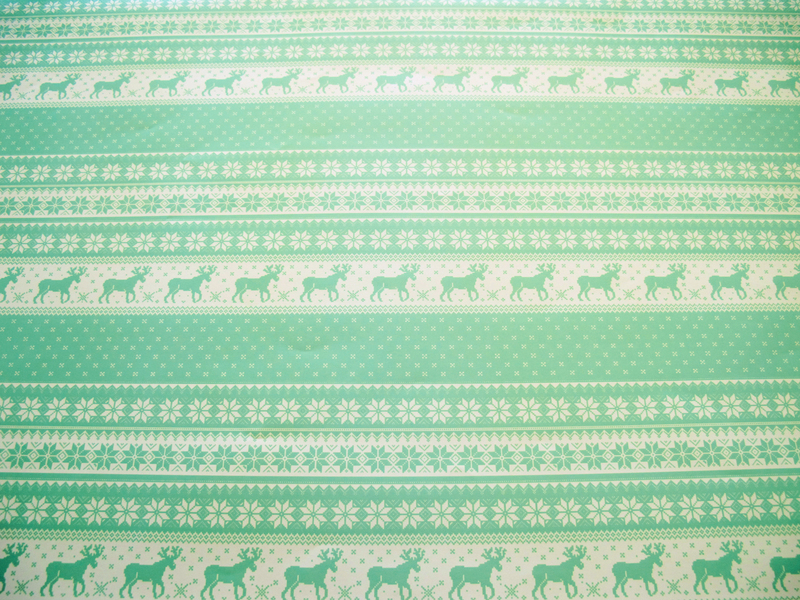 It really was quite simple to do, definitely something that would entertain all those festive crafters out there! 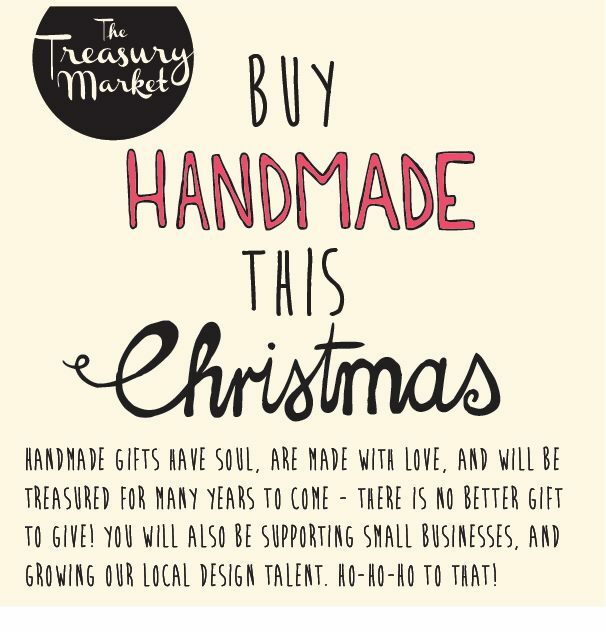 With all that in mind, it’s a great idea to do your Christmas shopping early this year and support the best of local and handmade at The Shoestring Collective.